There are a handful of words that it seems DMCs and travel companies feel the need to use at every turn. ‘Responsible Travel’ and ‘Ethical Travel’ are two of the most common, but authentic adventure travel is right up there and if we had $5 for every time the word ‘authentic’ was used, we’d have retired to a mountain top hideaway years ago! We embrace the fact that not everything will work as clockwork and not everything will be exactly the same on every trip. What does ‘authentic’ really mean in this context and what does it take to deliver an authentic experience? One could argue that everything is ‘authentic’. There’s little more annoying than hearing that Bangkok isn’t the real Thailand or that London isn’t really the United Kingdom – they are, of course, totally authentic but different from other parts of the country. 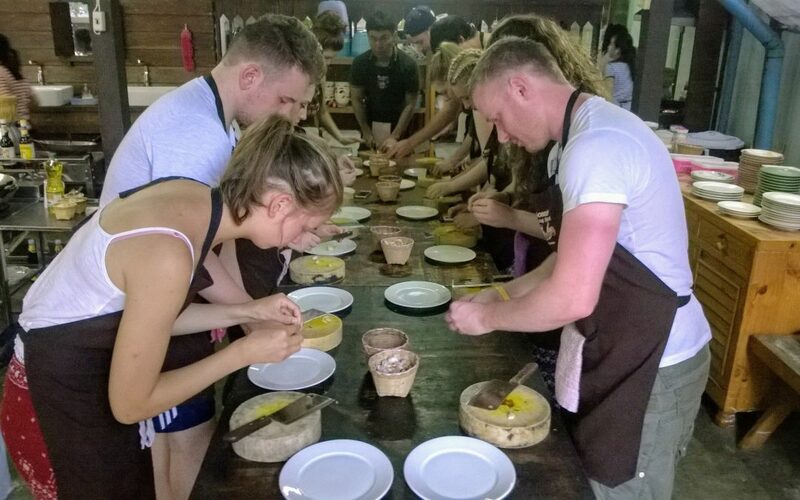 At PATH, we regard authentic adventure travel as meaning that the experience isn’t hermetically sealed off from the local culture and the local people, that trips are led by local people, that activities are run by local people, and that our travellers are exposed as much as possible to the country they’ve travelled so far to see. Whilst every experience can be ‘authentic’ – after all a KFC in Thailand is an authentic Thai KFC – we seek to stay away from places that are bastardised versions of the real world while also ensuring that each tour is designed to include what each demographic is seeking from their adventure. Some people may feel that Khao San Road isn’t ‘authentic Thailand’, but no young person’s trip to Bangkok is complete without at least experiencing the fun and chaos of a night on Khao San Road. Likewise, a trip for those interested in old Thai architecture and design isn’t complete without some time at ‘Jim Thompson’s House’ which, whilst fascinating, is as far from the ‘real world’ as Khao San Road is! So, how do we achieve authenticity and, just as importantly, the authenticity that your, and our, customers are looking for rather than anything we impose on people? The first step in any product development process is to spend the time to talk and listen to you. You know your demographic and what sort of experience you are looking for more than anyone, and this stage in the process allows us to build the foundations for any programme we’re going to develop for you. It’s not just about price levels and accommodation standards – that’s the easy part – it’s about the culture of the trip, the tone of the experience and what your customers are looking to ‘get out of’ their travels. Once this stage is complete. we sit down and discuss ideas with our team. Not just those with ‘product’ in their job title, but the team at every level. The DNA of our business is ‘product’ and a genuine passion for our region and this applies as equally to an admin assistant as it does a tour guide. By pooling this resource and everyone’s different interests and skills, we can stay on top of new ideas, explore new possibilities and avoid the ‘same old / same old’ trips that we all see so often in the marketplace. We then speak with our in-country partners (what others might call suppliers but we view all of our relationships as partnerships). Do they have new ideas, activities, or proposals? Then, and only then, do we sit down and start to put together the programme for you. By the time you receive a new trip outline, it isn’t simply a rehash of hundreds of previous trips, it’s the outcome of a large number of people’s passion, knowledge and expertise put together specifically for your customers. Even though this takes time and energy, it is of course only half the job. The next, and most important, stage is delivering the ‘authentic’ adventure, not just once but every single time your customers travel with us. And how do we do that? We could easily trot out the standard lines for this: we care, we’re passionate and so on, but it actually goes much deeper. We use local experts for absolutely everything we do every time so your travellers interact with people who genuinely care that they get the most out of every second of their time in country. We pro-actively seek out activities that are unique to you rather than your customers being minivan 23 of the day. We encourage our tour guides and teams to show your customers their country and how they live. We actively expose travellers to the real world – why suffer through yet another ‘American Breakfast’ when you can have an amazing bowl of Khao Tom or Ba-Tong-Go with a local coffee at the market. We embrace the fact that not everything will work as clockwork and not everything will be exactly the same on every trip – we’re not running tours around Disneyland, we’re running trips through a real life working country with all the good and not so good that entails. And, importantly, we aren’t snobs about our trips. If customers want to go crazy on Khao San Road then, why not? If they want to party until dawn on Koh Phangan, then we’ll deliver. All of this can only be delivered when everyone buys into the same goals – from management to guides and partners to customers – and that’s what we do. What we can promise every time is that those who travel through us, be it for 2 days or 4 weeks, leaves with a real sense of what the country is about, what the people are about and what the culture is about. There will be things they love and things they might not like as much, but they will have seen, touched, and tasted the real world and know where they’ve been. Memories won’t just be of postcard images, but of real people, real experiences and an authentic adventure.